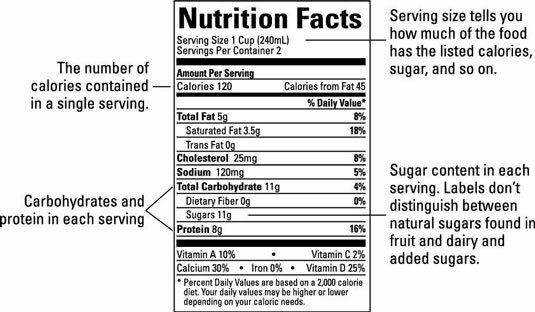 The nutrition facts label is your key to uncovering the truth about the food and amount of sugar inside. The nutrition facts label shows you the serving size, the calorie count, the basic nutrition breakdown (protein, carbs, fat, sugar, sodium, and so on), and, most important, the ingredients. Even though most of your healthiest meals consist of whole foods without labels, you should watch out for trouble on the nutrition labels of anything you buy that comes wrapped or boxed — bread, crackers, nuts, and condiments, for example. Enriched flour: Even baked goods that prominently display whole wheat or whole grain on the packaging are often made of mostly enriched flour, with just a sprinkling of whole-grain flour added in. Read the ingredients list to see whether the primary flour is enriched flour, and look for products with organic whole-grain flours as the first ingredient instead. High sugar content: Replace any packaged food with more than 10 grams of sugar per serving with a lower-sugar alternative (the exception to this is unsweetened fruit, which contains more than 10 grams of natural sugar per serving). Note that the nutrition facts panel doesn’t differentiate between naturally occurring sugars (such as those in fruit and dairy) and added sugars (such as high-fructose corn syrup). Trans fats: If you see the word hydrogenated anywhere in the ingredients, put the item back on the shelf. Pay attention to the serving size noted on the nutrition label of packaged foods. Measure out a serving to see how that compares to the amount that you normally eat; you may find that without checking, you ordinarily eat many servings’ worth of calories and sugar! Some food labels display claims or descriptions like sugar-free or good source of fiber. 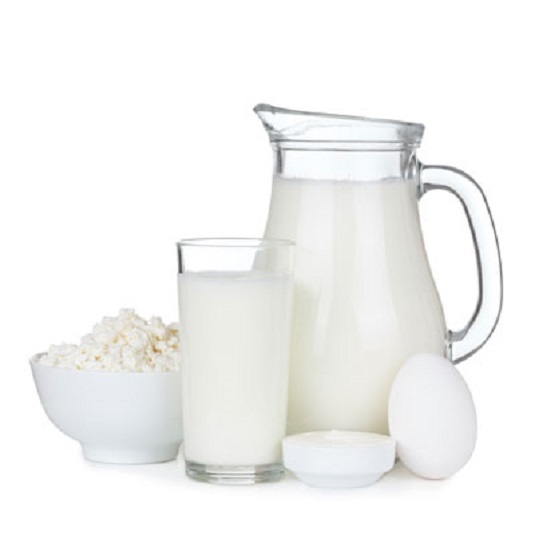 The FDA has specific requirements for food label claims.